The Chic Respite: Finca de Gío (Camino Libre 10, 829.973.7961, info@fincadegio.com) Belgian expat couple Carine and Giorgio Beeckmans renovated a property further inland as a more secluded respite from the debauchery of Pedro Clisante and El Batey. 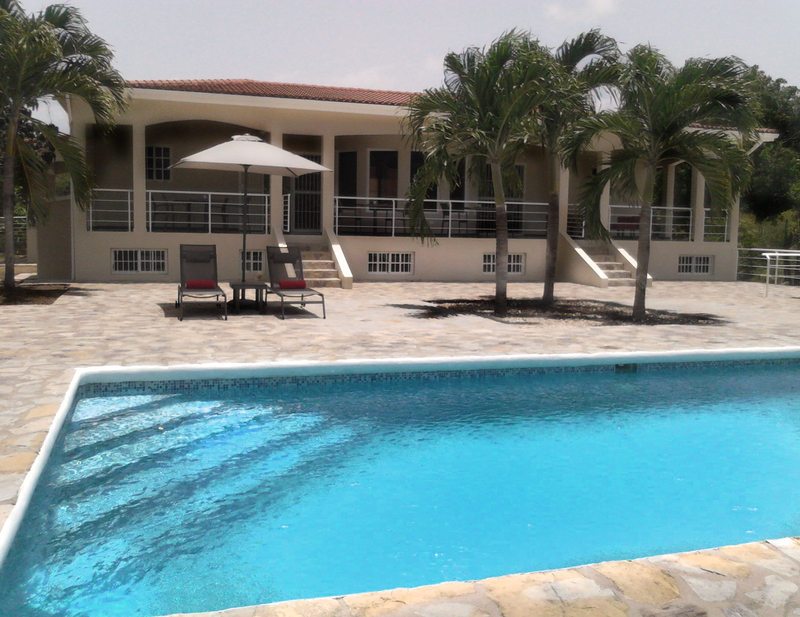 Guests rent the entire property of five bathrooms, each with en suite bathrooms and a lush pool in the center of the two-building estate. Special arrangements can be made to include catering and other amenities. Production crews and wedding parties are welcome to rent out the estate as well. More information is at fincadegio.com or at this listing on homeaway.com. The sparkling blue at Finca de Gío’s placid courtyard. 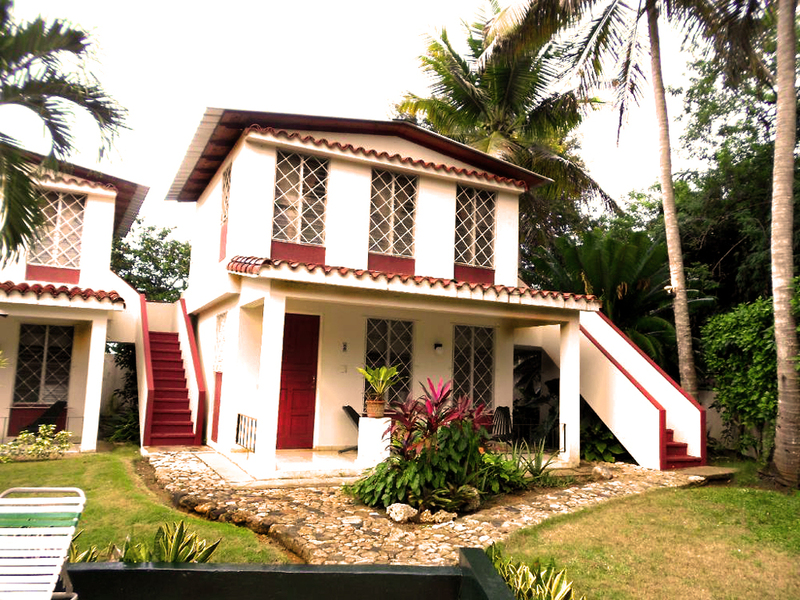 Casually Elegant Charmer: Tropix Hotel (7 Calle Libre, 809.571.2291) For travelers, not tourists, Tropix Hotel offers a pleasant assortment of cottage-style rooms in a lush garden setting. Although small, the warm and attentive staff and budget-friendly pricing have made Tropix a favorite of locals and repeat guests for over 30 years. 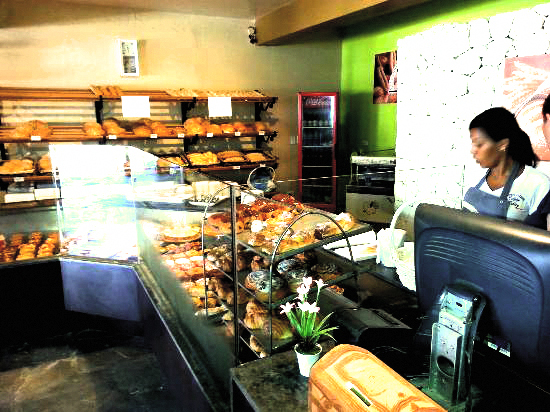 A Killer Bakery: Panaderia Clement (Calle Pedro Clisante 66, 809.571.1274) offers an amazing array of fresh-baked European-style breads and pastries. The selection and harder, heartier texture of the breads here are a rare find in this country of soft, doughy loaves. They also offer breakfast plates for every taste: American-style, European Continental and down-home Dominican. Early morning at Panaderia Clement in Sosúa. The D.R.’s answer to Cheers: The Brittania Pub (Calle Pedro Clisante 13, 809.571.1959) features easy, cheap and scrumptious pub fare and bar food staples—rarely do items cross the 500 DOP mark (around $10). A Cuba Libre here is 80 DOP—two bucks. Like almost every other bar in town, hockey or football will be the soundtrack to your evening.